His affectionate personality is what makes Wrigley such a great therapy dog. Each week he and his canine “siblings,” Nellye and Myca, visit Craig Hospital, which specializes in treating people with brain and spinal cord injuries, and Shalom Park, a local nursing home. Ingrish began volunteering with Therapy Dogs Inc. in 2001with her first dog, Gracey, also a golden retriever. From their first visit to a nursing home, Ingrish and Gracey were hooked. Although Gracey passed away a few years ago at the age of 12, Ingrish has become deeply committed to canine therapy work. Her dogs have become heroes to the people they work with. Now, they are becoming heroes to other dogs as well. Nellye and Wrigley are part of a small but growing contingent of working dogs who have joined the Golden Retriever Lifetime Study, where they are working in a different way: they are providing critical data about their lives that will help improve the lives of all future dogs. Run by Morris Animal Foundation, a nonprofit organization that funds animal health science, the study is enrolling 3,000 purebred golden retrievers between the ages of six months to 2 years in an effort to prevent and treat canine cancer. At press time more than 1022 dogs are enrolled so far. The Golden Retriever Lifetime Study is the largest study ever conducted to improve canine health. By following the entire lives of thousands of dogs over 10 to 14 years, researchers will gain valuable insight into four cancers—hemangiosarcoma, lymphoma, osteosarcoma and mast cell—as well as other canine diseases. “A study of this size and scope is thus far unprecedented in veterinary medicine. 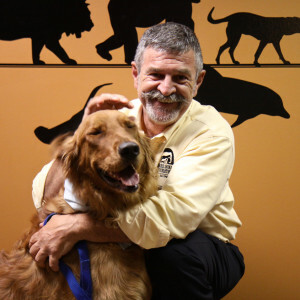 What we learn from these dogs will give us valuable knowledge about the prevalence, onset and severity of many significant canine diseases such as cancer, arthritis and hypothyroidism,” says David Haworth, DVM, PhD, president and CEO of Morris Animal Foundation. Because many diseases are shared by many species, what scientists learn in golden retrievers, which are highly susceptible to health issues, will not only help other dog breeds, but may also apply to other species, including human’s. One of the things that attracted Ingrish and others to the study is that it is purely observational, meaning that the study doesn’t affect how owners care for their dogs. 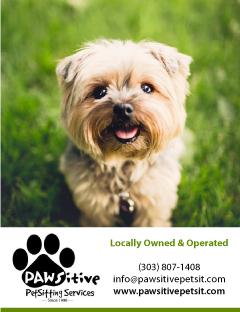 It merely asks owners and veterinarians to provide yearly information about the dog and its life. Anything and everything that happens to the dog is recorded. It’s a long-term commitment for all involved. “This study wouldn’t be possible without the dedication of owners who are willing to share so much of their dog’s lives with us and of veterinarians who are willing to provide the support and data collection that is required,” says Dr. Haworth, whose own puppy, Bridger, recently enrolled. 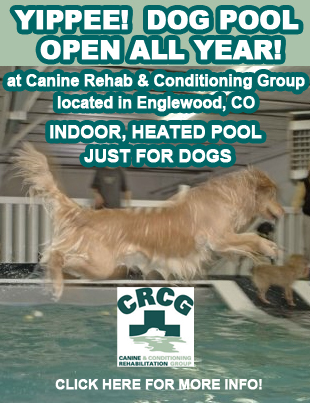 Any healthy golden retriever age 6 months to 2 years and living in the contiguous United States is eligible. Having a three-generation pedigree is also required because the study collects genetic information about the dogs. To garner a spot in the study, golden retrievers undergo a thorough screening process that includes an extensive health questionnaire, veterinary examination and sample collection. Once the dog is enrolled, owners fill out annual online questionnaires about their pet’s lifestyle, diet, exercise, behavior, travel, health and environment. All information is provided through a secure online portal. 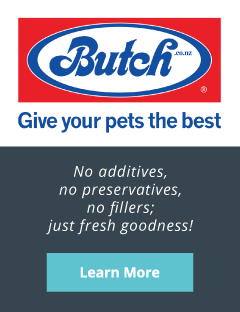 The dog’s veterinarian is another key participant. During each annual exam, the veterinarian collects samples of blood, urine, feces, hair and toenail clippings and then sends them to a laboratory for analysis and to a biorepository where they are stored for future reference. The veterinarian also enters all health information into the portal. As the dogs age, the changes in their health—as recorded through the annual data collection—will provide valuable insight into how to prevent and treat canine cancer and other diseases. To learn how you can be a part of the Golden Retriever Lifetime Study, visit www.CanineLifetimeHealth.org. Morris Animal foundation is recruiting 3,000 purebred golden retrievers, along with their owners and veterinarians, to join the largest and longest study ever conducted to advance veterinary medicine. Learn more today at www.CanineLifetimeHealth.org.